Sheri started her career in dentistry at Algoma Gentle Dental Care, now Dentistry by Design. Prior to joining the field of dentistry she worked in Customer Service/Sales for 17 years and management for 15. One of the things she really loves about her position at Dentistry by Design is meeting new people and greeting familiar faces. It is also such a joy to see how happy patients are with their smile after having dental care. Sheri grew up in Door County and currently lives in Sturgeon Bay. She and her husband Lou have two grown daughters. In her spare time she enjoys spending time with her husband and their dog, Crick. Sheri and Lou are also enjoying being grandparents and love spending time with their grandchildren. Gena has been in the dental field for over 16 years. For the last 14 years she has worked in Florida and Seattle as a surgical assistant. She truly enjoys making patients feel more comfortable with the dental process & helping them understand the importance of good dental health. Gena, her husband Orin and two young boys moved back to Door County in 2014 to slow down and enjoy life in a small town. She enjoys being outdoors, gardening, boating and chasing her boys around. Gena is excited to be back in the area to be able to spend quality time with her family and friends and to make a difference in patients’ lives at Dentistry by Design. Kori was born and raised in Northeast Wisconsin and is a graduate of St. Norbert College with a Bachelor’s degree in Sociology and a minor in vocal performance. Having always felt at home assisting others and directing them to the services they need, Kori is happy to find a new home in the field of dentistry. She joined the Dentistry by Design team in the summer of 2016. Kori truly enjoys getting to know all the wonderful patients that walk through the door. In her free time Kori enjoys exploring Door County with her husband and daughter, spending time gardening and cheering on the Packers. Joan began working in this office in January of 1987, for Dr. Robert Schrank as a receptionist. She later added the roles of bookkeeper, and manager of patient insurance claims to her list of responsibilities. Joan is also trained to assist Dr. Feit when needed. Joan has become friends with many patients over the years and enjoys being able to help and watch them improve and maintain their oral health. Joan and her husband live on a farm west of Forestville. They have six children and 15 grandchildren. Joan is a very family oriented person, she enjoys playing cards with her children and attending her grandchildren’s school functions including baseball, basketball, football, and soccer games, as well as musicals and band concerts. Joan also enjoys gardening and preserving what is harvested. Cortney graduated from NWTC in 2009 with an Associate Degree in Dental Hygiene. She is also a graduate of Southern Door High School and currently resides in Brussels. 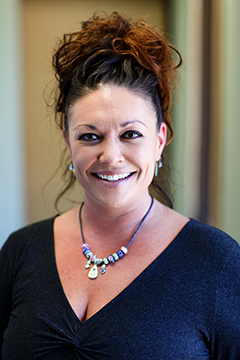 Cortney worked as a Dental Hygienist in Green Bay prior to starting at Dentistry by Design. Cortney loves the outdoors, from hiking and backpacking to canoeing, bow hunting and gardening. She also enjoys traveling, especially to different state and national parks and forests. She tries to check a new destination or two off her list yearly. Cortney is also close with her family and enjoys spending her spare time with them. Sue has been in the dental profession for over 20 years, graduating with honors in 1995 from the Dental Associate program at NWTC in Green Bay. Her most recent job was with the Oneida Nations. At Oneida, she had the privilege to complete a course in Basic Restorative Functions at the IHS Dental Staff Development Center at Haskell Institute in Lawrence, Kansas. This gave her training and certification to perform expanded functions at the Dental Clinic on the reservation, including placing fillings. Sue has lived in Sturgeon Bay for 35 years and she has two wonderful sons and daughter-in-laws as well as two beautiful grandchildren. In her free time she enjoys being outdoors, exercising, bike riding, playing games with her grandson and granddaughter, and Sue has a new love – sailing. A native of Sturgeon Bay, Patti graduated from the Dental Assistant program at NWTC. After working in Green Bay and North Carolina she joined Dr. Robert Hoover in practice for over 20 years in Sturgeon Bay. She joined the Dentistry by Design team in 2012. Patti finds the dental profession more exciting then ever with all the new innovations. She looks forward to continuing to educate and reassure patients that dentistry can be a positive experience for them. Patti has a son, daughter-in-law, and two wonderful grandchildren she enjoys spending time with. Her other interests are in the arts, Brewers and Packer games, and just being outdoors. Katie was born in Wisconsin and raised between Green Bay, WI and Cincinnati, OH. She continued her education in Green Bay and graduated from NWTC as a dental assistant. She brings great knowledge and passion to the DBD team. Katie enjoys educating patients and the youth on the importance of dental health. Katie enjoys traveling, and is a big believer on having a work/life balance. If she’s not hanging out with her family/friends, you may find her biking, boating, nannying or anything outdoorsy. Since graduating from St. Norbert College in 2000 with a degree in Communications, Heather has worked in marketing for companies ranging from space education to theatre. Heather has learned a lot about dentistry since joining Dentistry by Design and after observing a bone graft and a dental implant procedure she finds it quite fascinating. A native of Door County, Heather resides in Sturgeon Bay with her husband Lance, and their two children. When she is not hanging out with her three favorite people, she enjoys acting, watching movies, reading, being outside and spending time with friends and family. After graduating with a B.S. in Accounting in 1995, Teri worked for a public accounting firm in California, where she became licensed as a Certified Public Accountant. With over 20 years in the accounting profession, Teri has experience in a wide variety of industries, including dental practices. She joined the Dentistry by Design team in 2011. Teri has two school-aged children, Jacob & Benjamin and they keep her and her husband, Bill, quite busy. When not at the office, or toting the boys to one activity or another, Teri enjoys reading and is often found volunteering for several community organizations. Since receiving her Associates Degree, Briana is currently attending Rasmussen College to receive her B.S. in Accounting. Briana currently has two years of bookkeeping experience under her belt and is working on gaining more knowledge in the Accounting field. Working at Dentistry by Design has helped build her confidence in the Accounting profession and she can’t wait for what the future holds. Briana has been coming to Door County since she was little and has lived here permanently since 2005. She and her husband Whitney have two daughters, Keanna and Jaden and a son Cameron. 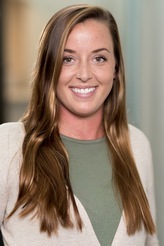 When not working or doing homework she enjoys spending time with her family, her dog Bruno, listening to music, and enjoying a good book series.